Allyson Ezell - New single "Talk To Me"
American- French artist Allyson Ezell has never been one for linear progressions and her road to music making hasn’t been a direct one. Originally born in the heart of the American Midwest, Iowa, Allyson spent most of her time zigzagging through cities, countries, jobs, love and loss. Having found herself one day in Paris, she fell in love with the city and freshly baked croissants, decided to stay for good, and had set her mind on perfecting her brand of aerodynamic pop. Once she was ready, she knocked on Universal Music Group’s door and instantly got signed. Amongst various producers and writers wanting to work on her material, Allyson had decided to team up and collaborate with American producer Brandon Darner (Imagine Dragons) on her upcoming new single Talk To Me. Talk To Me pulls focus on Allyson’s captivating vocals that flutter over defining stark percussion, synths and drumbeat creating a cool and eclectic backdrop. Being a musician and songwriter in total command of her powers, Allyson resembles the likes of St Vincent, Annie Lennox, Shakespeare’s Sister and Paloma Faith. 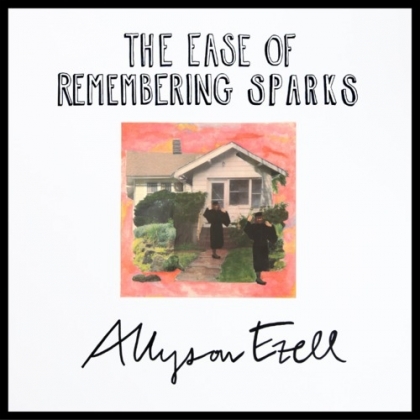 Allyson Ezell has created a sound that is both intriguing and eccentric and makes it a perfect addition to the modern-day alt pop family tree. Talk To Me, taken from the upcoming EP The Ease Of Remembering Sparks, will be available for sale and download everywhere on the 23rd March 2015.